How can my organisation become a tenant? We are always interested to hear from organisations with a defined social or environmental purpose. 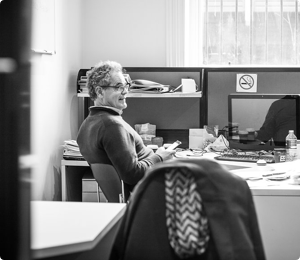 We rent self-contained offices in all our buildings, and shared / flexible desk space in some. Whether you need space now and would like a tour of one of our buildings, you are interested in becoming a tenant in the future when your current lease ends, or you have an idea for a new Ethical Property centre in your city, please contact us. How do you keep your charges fair? We keep our charges fair by working with you to understand your space needs, and to provide shared spaces where possible (so you are not renting space that you do not use). We also provide the opportunity for tenants to share services such as high-speed broadband, enabling you to access better quality services at lower cost than you could alone. The common outgoings are budgeted carefully and independently audited, and our buying power means we can sometimes negotiate better rates for tenants, e.g. for the cleaning of your office space. Our rent is not subsidised, as in order to purchase and maintain offices in good locations we do have to pay a market rate for our properties. However by enabling organisations to share spaces, we are able to reduce the total amount of space you rent and so your overall bill should be lower than if you were renting on your own. We also invest in energy efficiency measures which reduces your energy bills and makes the office more comfortable, and we have heard from some organisations that the quality of their office space has enabled them to attract additional respect and funding. How can I invest in the Ethical Property Commercial Fund? To invest in the Fund, you need to meet the definition of a “sophisticated investor” as given in the Corporations Act. If you would like to participate in Ethical Property’s expansion, please contact Peter Allen for an initial conversation.